If you currently use Skype for Business or Office 365, you have probably heard that Microsoft is planning to replace Skype. The heir apparent to that program is Teams. 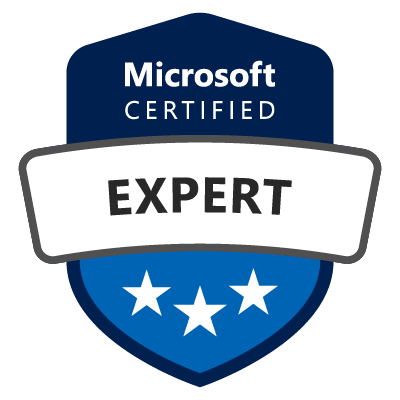 As both a Microsoft partner and a user of the program, we can tell you that there is nothing to fear and so much to gain in making the switch to Teams. Read below to see why we recommend teams. It really does score a home run! Skype currently offers screen sharing and quick chatting (instant messaging), among other capabilities. Those same capabilities are also available in Teams as is so much more. Because every team is unique, Teams is designed to allow people to communicate and collaborate with purpose-built, integrated applications. Teams allows for multiple channels to be created and conversations to flow from top to bottom while notifying users of updates. If users need a face-to-face conversation, with a single click they can easily start a video chat with other channel team members. 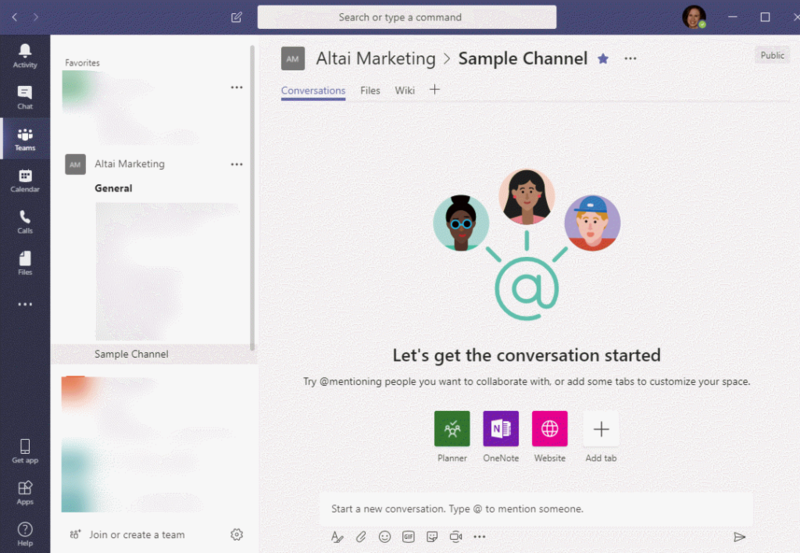 Unlike other chat platforms like Atlassian’s HipChat and the popular Slack, Teams is fully integrated with Microsoft’s full suite of 365 applications. Your favorite apps such as Word, Excel, PowerPoint, Planner, and Power BI are all able to be accessed from Teams. Therefore, any spreadsheets, documents, etc. that are being shared with the Team are synced with a copy stored in cloud storage on OneDrive and within SharePoint. This allows for team members to always be using the most current version of the content. It also has collaborative editing features that allows multiple team members to be inside the content at the same time making edits in real time together. When you create a team, you get a corresponding Office 365 group, which includes a group inbox and calendar in Outlook. 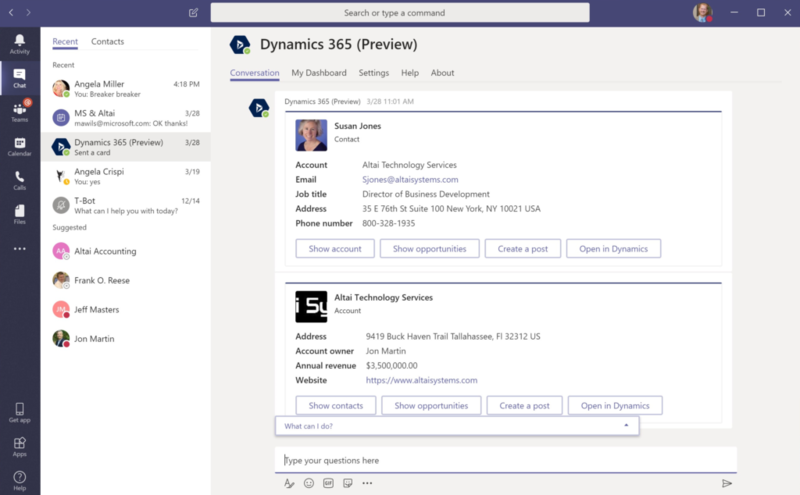 Although you can’t post messages or view channel conversations from Outlook, the Outlook group provides an email address people from outside the team can use to send email to the entire Team. 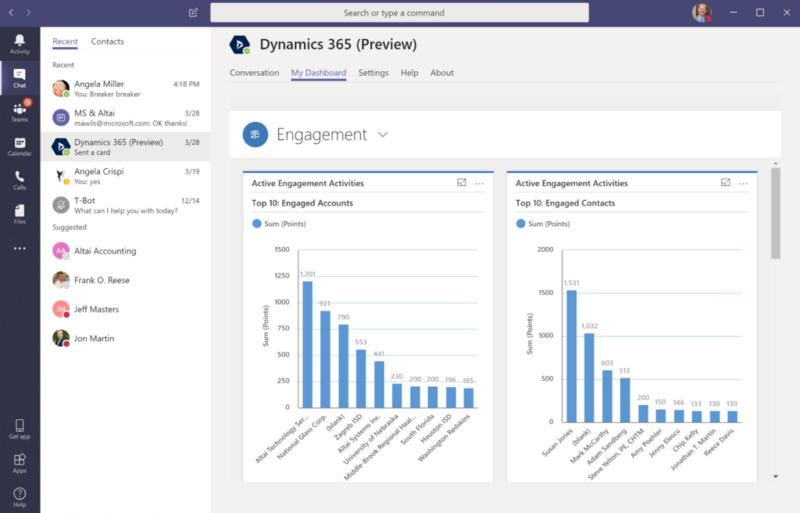 Our customers, Member based organizations, are most excited about this feature: As of the April 2019 release, Microsoft is including the Dynamics 365 Customer Engagement app for Microsoft Teams. Now, users of teams can access their Dynamics 365 application right from within Teams. This will now enable you to collaborate on and view your association management data like who your most/least engaged members are without ever leaving Teams! Collaboration between people in the membership or event teams can work directly with the education team to collaborate on mutual initiatives at the same time. This collaboration can be a game changer for departments like the events’ team. 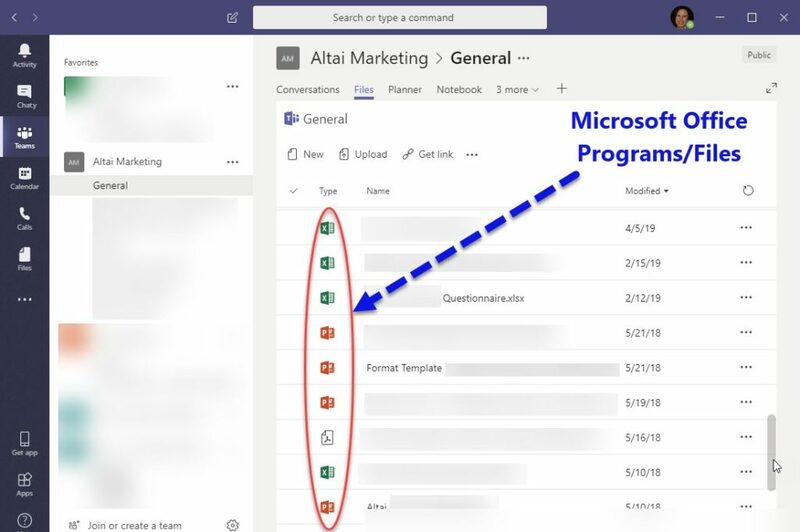 Microsoft Teams combined with Dynamics 365|Altai AMS provides your organization with an Association Business Platform allowing staff to collaborate on membership, engagement, events, logistics, registrations, sponsorship, speakers, etc. all in one place. Automatic Transcription of Meeting Minutes – This is a game changer for times when you need to have committee or board meetings quickly and accurately transcribed. Users can have recordings of their Team meetings automatically transcribe the conversation so that users can play back meeting recordings with closed captions and search for important discussion items in the transcript. Calendar BOT – Allows you to compare calendars and schedule meetings quickly and easily. Polly – Allows you to easily conduct and analyze surveys and polls. Live Captions and Subtitles: For attendees of Teams’ meetings who are hearing impaired, have different levels of language proficiency or are connecting from a loud location, live captions and subtitles will be available for meetings. This feature will make your Teams meetings more inclusive and improve meeting effectiveness by allowing attendees to read speaker captions in real-time, so they can more easily stay in sync and contribute to the discussion. Secure Private Channels: Later this year you will be able to customize which team members can see conversations and files associated with a channel. Instead of creating a separate team, you will be able to restrict participation and exposure in a channel to limit visibility. This feature, as well as Information Barriers, will be particularly helpful for associations who have committee or board members administering varying roles in the association. Information Barriers: Allows you to limit which individuals can communicate and collaborate with each other in Microsoft Teams. Data Loss Prevention (DLP): Allows your IT admin to prevent sensitive information from inadvertently being shared inside or outside the organization. Admins will be able to detect, automatically protect, and screen for sensitive information in chats and channel conversations. Live Events in Microsoft 365: Available now, this feature allows users to create live and on-demand events for employees, members, boards, committees, and other constituents. Live events use video and interactive discussions across Teams, Stream, or Yammer. Users can have up to 10,000 attendees participate in real-time from anywhere on any device. If people want to review the event, they can use artificial intelligence (AI) features such as automatic transcription to consume the content of the event recording. Teams collaborative capacities extend beyond Microsoft specific apps. At its inception, Teams started with over 70 Connectors and 85 Bots that allows it to communicate with non-Microsoft apps. Connectors can currently push updates from Trello, GitHub, MailChimp, and more to Teams’ channels. That number continues to grow as the platform grows. Microsoft Teams adoptions and features are growing at a rapid rate. There was a recent Spiceworks survey that examined the adoption and perceptions of collaborative chat applications. 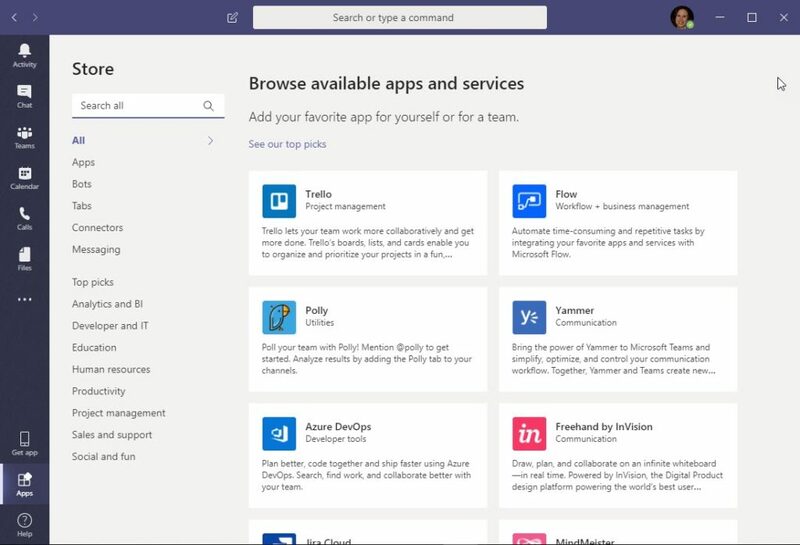 “The results show that while Skype for Business continues to hold the number one spot with 44 percent of businesses currently using it, Microsoft Teams has secured the number two spot just two years after launch.” In fact, Teams is also set for faster growth than Slack over the next two years. To maximize Team’s power and potential, your association should consider an Association Business Platform built within Microsoft’s own Dynamics platform. Altai Systems is that system. Contact us today to learn how these tools can help your organization better collaborate and achieve goals you never thought possible. Interested in Seeing Teams in Action? If you enjoyed this article, then don’t miss our upcoming webinar,Improving Association Collaboration & Operations with Microsoft Teams. This will be a deeper dive into the Microsoft Teams app.You will learn how its top features can improve your association staff’s engagement and productively across multiple diverse channels. Don’t wait, register today!